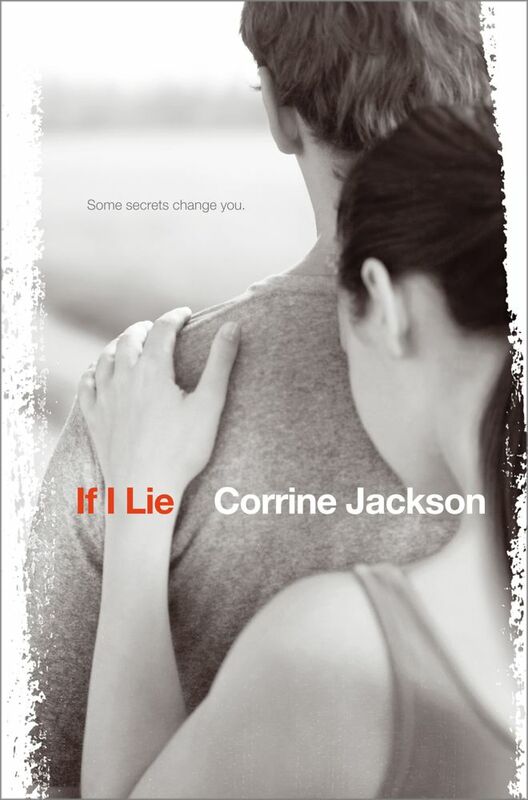 Class of 2K12 -- Corrine Jackson, author of IF I LIE and TOUCHED -- and a Giveaway! 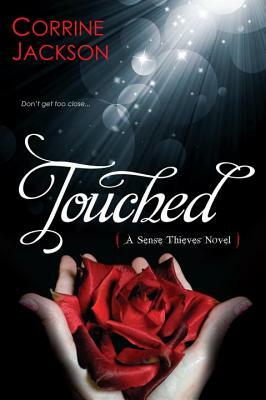 TOUCHED (coming November 27 from K-Teen) Seventeen-year-old Remy O’Malley heals people with touch, but her power comes at a steep cost. Every illness or injury she cures becomes her own. The pain she can handle, but she worries a day will come when she won’t recover from healing some terrible disease. Then she meets eighteen-year-old Asher Blackwell. Scarred and dangerous, he knows more about her abilities than she does, and she can’t resist wanting to know everything about him. Q. Do you outline before you write? If so, does it end up changing before you finish the first draft? What change surprised you the most? A. I’m an outliner. Usually, the characters come to me and I keep a file with notes that I collect. They’re everything from scene ideas to character traits to bits of dialogue. I write a bit to get a sense of the character’s voice. Once that’s in place, I go back and outline the whole book. My outline is flexible, though. I never feel locked in. If a scene takes me somewhere new, no big deal. I just revise the outline. I’ve been surprised at times by a new character popping up (George in IF I LIE) or an emotional scene I didn’t plan on (in TOUCHED). George was definitely my biggest change. My entire book morphed once he appeared. I love those moments. Q. Those are cool moments! How long did it take to go from the idea for the book to the draft your editor accepted? Was it months or years? Did you go through endless revisions, beta readers, etc, before starting the submission process? Did you ever want to pull out your hair? A. Depends on the book. With TOUCHED, I wrote it in 3 ½ months. I went through draft after draft in revisions and lots of beta readers. Once I got an agent, we went through one more revision. That’s the one my editor bought. With IF I LIE, I wrote it over a year, sent it to a few beta readers, did one round of revision, made a few changes at my agent’s suggestion, and that was it. Since I spent more time writing it, I edited it along the way, so my first draft was pretty clean. I also showed pieces to readers as I was working on it. To be honest, I don’t like editing as much as I do writing. I’d rather do a slower, cleaner first draft, but that’s not always realistic with deadlines. I’m adapting, but I do want to pull my hair out at times. Q. I hear you! Do you listen to music while writing or at least while thinking about and planning a book? What song or album had the most influence on this novel? A. I always listen to music. I create playlists for each book. In the book FROM WHERE YOU DREAM, Robert Olen Butler suggests that listening to the same music for a book each time you write, drops you back into that creative space faster. I agree. As soon as I put the music on and read a snip of what I wrote the day before, I’m off and running on new words. When writing TOUCHED, I listened to a lot of Tyrone Wells, Taylor Swift, Tim Easton, Ben Harper, and others. Lots of soulful love songs or longing for love songs. I shifted gears a bit on IF I LIE. That book takes sad to a new level. I listened to a lot of Glen Hansard, The Swell Season, and The Frames. Glen Hansard has this voice that rips at your guts and it fit what was happening to my characters. Thanks for joining us today, Corrine! Your books are amazing. Congratulations! Readers, I have one hardcover copy of IF I LIE to give away! Sorry, this giveaway is only open to residents of the US or Canada. Must be 13 or older to enter. The rules are simple: You must be a follower and you must comment on this post! You have until Saturday September 8 at 11 pm EDT to enter. One extra chance to win if you Tweet about this giveaway. Another extra chance for mentioning on facebook OR on your own blog. Please note your extra entries in the comments. Thanks! 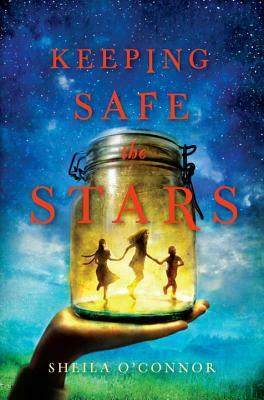 Keeping Safe the Stars by Sheila O'Connor for MMGM -- and Giveaway Winners! Congrats, Vivien! Expect an email from me. You were only 60 miles off our actual driving distance of 2140 miles. Good guess! For the second prize, amazingly, we have a tie! both guessed 1900 miles, which is the next closest guess! So, ladies, here's what I will do. The first to respond to my email will win Prize Package #2 (an arc of WHAT CAME FROM THE STARS and an arc of THIRD GRADE ANGELS). 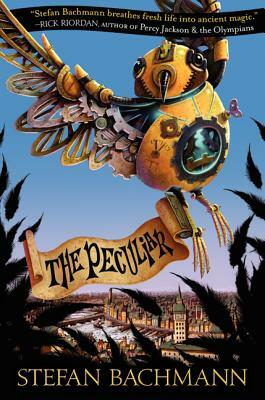 The second to respond will win Prize #3, an arc of THE PECULIAR. Hope that's fair, and if you'd prefer a different arc, please email me and I'll see what I can find! And if you didn't win something, come back on Friday, August 31 to enter a YA giveaway! I'm interviewing Corrine Jackson, author of IF I LIE and TOUCHED. I'll be giving away a copy of her first book. Now onto MMGM! Marvelous Middle Grade Monday is the brainchild of Shannon Messenger. For other participants, see my sidebar or Shannon's links. Synopsis (from Indiebound): When crisis hits, a young girl becomes the only one left to take care of her family. Pride, Nightingale and Baby are the Stars. Orphaned and living with their grandfather, Old Finn, in rural Minnesota, the children, like their grandfather, are wary of outsiders. They believe, as Old Finn taught them, in self-reliance. But then Old Finn falls seriously ill and is taken to the hospital all the way in Duluth, leaving the children to fend for themselves. Pride, as oldest, assumes the lead. Though she makes mistakes, she keeps them afloat; they even earn money for the bus trip to Duluth. But when they finally see Old Finn, he can't walk or even say his own name, and Pride knows her days of keeping safe the Stars are drawing to a close. Self-reliance can't make Old Finn well again. But maybe, just maybe, a secret from Old Finn's past might make a way for them to stay together after all. Why I liked it: I know, I know; it's not coming out until October! But I adore this book so much, I couldn't wait to share it with you! You may remember how much I loved the author's previous middle-grade novel, Sparrow Road (see my review here). Well, this book is even better. O'Connor has outdone herself here. Pride is a wonderful character. She seemed like a real girl in my mind. The prose is rich and powerful; the descriptions are gorgeous -- you'll have no trouble picturing Eden (Old Finn's farm) or the city. This takes place during the summer of the Watergate hearings, yet it has a timeless quality. I love quiet books that explore the depths of one girl's heart. And oh, the ending is lovely. I've always enjoyed stories about kids having to survive on their own, starting with The Boxcar Children by Gertrude Chandler Warner (which I read in third grade!). What about you? What middle-grade books about kids on their own do you carry in your heart? 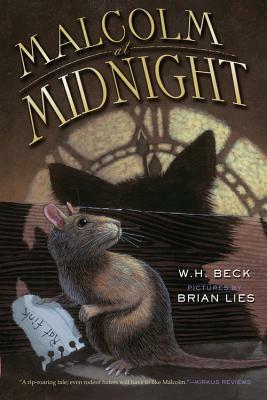 Malcolm at Midnight for Marvelous Middle Grade Monday! Whew! That's a lot of M's. And I've just been in Millinocket, Maine. More M's. Marvelous Middle Grade Monday is the brainchild of Shannon Messenger (Ha! One more M!) For other participants, please see my sidebar to the right. I'm back from our road trip vacation and I have a terrific new book to share with you. And a giveaway! I'm celebrating two things since I last posted for MMGM: My seven years of survival since my brain aneurysm ruptured in 2005. And my three years of book blogging. So I figured it was only natural to have a giveaway! Read on for my MMGM pick this week and for details about the giveaway. Synopsis (from the publisher): When Malcolm (a smaller than average rat) arrives as the fifth grade pet at McKenna School, he revels in the attention, the Pop-Tart crumbs, and his new Comf-E-Cube. He also meets the Midnight Academy, a secret society of classroom pets that keeps the nutters (kids) out of trouble. After all, everybody knows, "a lot happens in a school when the teachers aren't looking." There's just one problem. Rats have a terrible reputation. So when the Academy assumes Malcolm is a mouse, he doesn't exactly speak up. Then the Academy's leader, a glasses-wearing iguana named Aggy, disappears and the Academy smells a rat... a dirty rat fink, to be specific. Now Malcolm must use all of his ratty persistence to prove his innocence, get Aggy back under her heat lamp -- and find out if it's possible to be a critter of valor and merit even if you're a rat. Why I liked it: They had me at "a secret society of classroom pets"! This is great fun, especially for fans of the Ralph S. Mouse books by Beverly Cleary and the Humphrey books by Betty G. Birney. An added bonus is the format. The book is written as an anonymous letter and story that the fifth-grade teacher, Mr. Binney, found on his desk one day, and the anonymous authors have cleverly inserted lessons they've learned from Mr. Binney, fifth-grade vocabulary words, and some funny footnotes. Alert readers will eventually realize which students wrote the note and story. I found this book hugely entertaining, and Malcolm a worthy middle-grade hero. And now for the good stuff: the Giveaway! HOW FAR DO YOU THINK WE DROVE ON OUR ROAD TRIP? Road to Campground in Baxter State Park - never saw another car! We started in Southeastern Pennsylvania and drove all the way to Millinocket, Maine, and Baxter State Park, up in the far northern woods of Maine (no, we didn't see a moose, darnitall -- it was too hot!). But keep in mind we made many side trips along the way up and back. The person who comes the closest to guessing how many miles we drove wins first prize. The second closest guess wins second prize. And the next closest guess wins third prize. Holy Smoke! Three prizes! I've never done this before. So put your thinking caps on and try to guess how many miles we drove on our road trip. Just include your answer in a comment below. Thanks for entering! This giveaway will end at 10:00 pm EDT on Saturday August 25, 2012. Winner will be announced on Monday August 27. Meet Suzanne Lazear, author of INNOCENT DARKNESS! In a Steampunk version of Victorian Los Angeles sixteen-year-old Noli Braddock's hoyden ways land her in an abusive reform school far from home. On mid-summer's eve she wishes to be anyplace but that dreadful school. Her wish sends her tumbling into the Otherworld. A mysterious man from the Realm of Faerie rescues her, only to reveal that she must be sacrificed, otherwise, the entire Otherworld civilization will perish. Hi Suzanne, and welcome to My Brain on Books! Well, INNOCENT DARKNESS didn’t start out Steampunk. I steampunked it on the fly from a contemporary outline. My main characters—Noli, V, and Kevighn--stayed the same but new characters like Charlotte appeared. 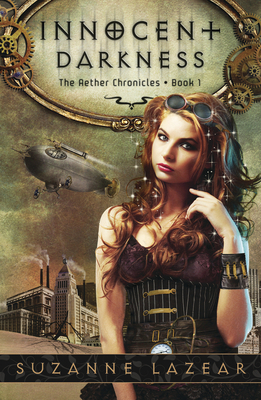 The basic story stayed the same, but adding in the Steampunk elements forced me to change a lot of things, and I had to create an entire alternate world as I went along (which required research and strange google searches). From this process a lot of details I didn’t know about emerged, like Noli’s love of botany, Kevighn’s sister, and certain details about V and his past…I personally enjoy learning things about my characters as I write. Not all stories are like this for me. Sometimes I outline, sometimes I don’t, and sometimes I just jot down ideas. It all depends on the story, world, and characters. I like to have several projects in different stages going on at once. It makes me feel more productive. I work on the one that’s most pressing (or if not on deadline, with the characters speaking the loudest), but if I get burned out or need a break, I can switch to another project for a day or two and feel like I’m still being productive. Also, I have something to do while a project is off being read by betas. It’s that whole multi-tasking thing. I like multi-tasking. And lists. Because I have a full time job and a family I write whenever and wherever I can. I do a lot of writing on my laptop on the couch. I write during lunch at work, I’ve been known to bring my laptop to birthday parties and family functions when on deadline, I’ve even contemplated trying to use Dragon to write while driving since I spend so much time commuting—but I’m not that brave and given my writing style, I’m not sure that would work for me. Do you listen to music while writing or at least while thinking about and planning a book? What song or album had the most influence on this novel? I really like to listen to music when I write and often make complicated playlists of “mood music” for each project. For some reason I never made a special list of music to listen to just for the writing of this book – though I do have a soundtrack for it. I wrote a bulk of INNOCENT DARKNESS during NaNoWriMo 2009 – 66k in three weeks—while working a dayjob so that may have had something to do with it. Yeah, I nearly died. I did write large chunks of ID while listening to Emilie Autumn on continuous repeat—especially “Across the Sky,” which I consider to be the book’s theme song, as well as “Shallot” and “Opheliac”. I adore her work, she’s a “Victorian industrial” artist and since I’m writing Steampunk, the vibes meshed really well. I also listened to a playlist of sappy love songs I’d compiled for drafting another project—especially when writing the kissing parts. Wow! That sounds daunting. I love that your book has a theme song. Tell us what darling you had to kill that you really really wish you could have kept and what was the most fun to write. More kissing!!! Just kidding. I actually had to cut an entire scene with Kevighn, my anti-hero, that I really liked. It introduces a new character towards the end, so it does work better to save it for book two, but I really liked the relationship between Kevighn and that character. It added a more little background and depth to my naughty huntsman. My favorite scenes involve Noli—Noli and her flying car, Noli and her friend Charlotte, Noli and V… Though I do have to say, Kevighn, being the bad boy, was really fun to write. Probably even more fun to write than V, who’s such a sweet, honorable guy. Inventing all the steampunk gadgets was a ton of fun as I tried to meld the Victorian feel with modern technology to get things like hoverboard and flying cars, yet make them as natural to Noli as a car is to us. Thanks for being here, Suzanne! And congrats on the book!